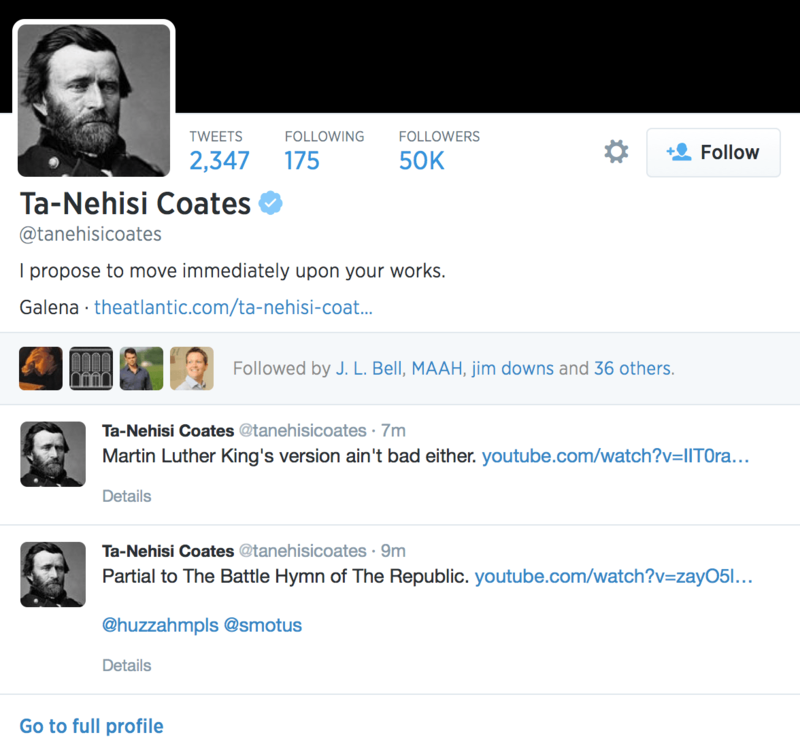 I got a kick out of Ta-Nehisi Coates’s Twitter profile page. Thanks, Keven, I hadn’t seen this. As you probably know, Coates is a big fan of Grant as general and writer, and wrote a lot about him in his series of posts on the Civil War (http://www.theatlantic.com/national/archive/2011/01/the-literary-heroism-of-us-grant/69978/).